Growing healthy soil is our focus here at Soils Alive. But how, you might ask, can one grow healthy soil? Growing healthy soil is our focus here at Soils Alive. But how, you might ask, can one grow healthy soil? While it’s easy to think of soil as “dirt”, something we just walk on, it’s actually a living organism and an active part of growing healthy plants. When soil is full of microorganisms and organic matter it is healthy and full of life. When soil is bioactive, it helps plant’s take up nutrients more efficiently and retains moisture and air to help them grow vigorous and strong. A few weeks back, we covered the three most important macronutrients needed for healthy plants and soil. In addition to the primary macronutrients, Nitrogen, Phosphorus and Potassium (N-P-K), there are three secondary macronutrients your plants need in order to thrive. Calcium in the soil builds strong plant cell structure so they are better able to fight against heat stress and diseases. Think of Calcium as the nutrient that strengthens the “bones” of your plants! You’ll often see Calcium deficiencies in tomato plants; if leaves become curled or scorched they could be Calcium deficient. Proper water management is key to making sure Calcium is available to plants. Bone meal is a great way to add Calcium to soil. Sulfur is necessary in order for plants to produce the protein they need. Sulfur helps plant cells form chlorophyll and aids in the development of vitamins and enzymes. Through these actions, sulfur helps improve root growth, resistance to cold, seed production and overall vigor. Sulfur also helps to slightly acidify alkaline soils, which can help make other nutrients, such as Nitrogen, more available to your lawn. Magnesium is necessary for plants to produce Chlorophyll, the green pigment you see in plant leaves. Chlorophyll is used in photosynthesis. Magnesium also helps plants with respiration and creating nitrogen. If you are not watering properly, your plants could be deficient in Magnesium. Adding organic compost and properly managing water is the best way to make sure Magnesium is available. 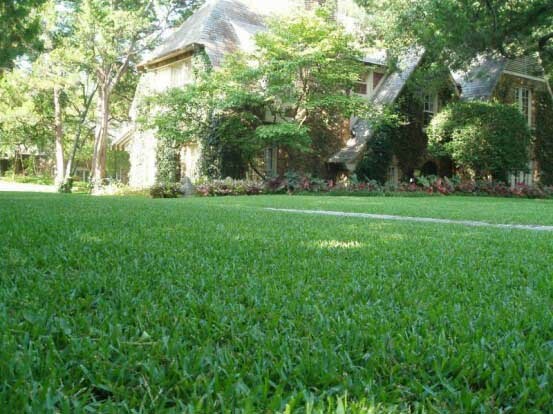 While all of these macronutrients can be added to your lawn using synthetic chemical fertilizers, such fertilizers can also damage the health of your soil. You can introduce all of these much needed nutrients to your soil with organic fertilizers, treatments and soil conditioners and build up soil life while doing so.